The first 6 rivets are done! This is the elevator hinge bearing sandwiched between the 2 brackets. 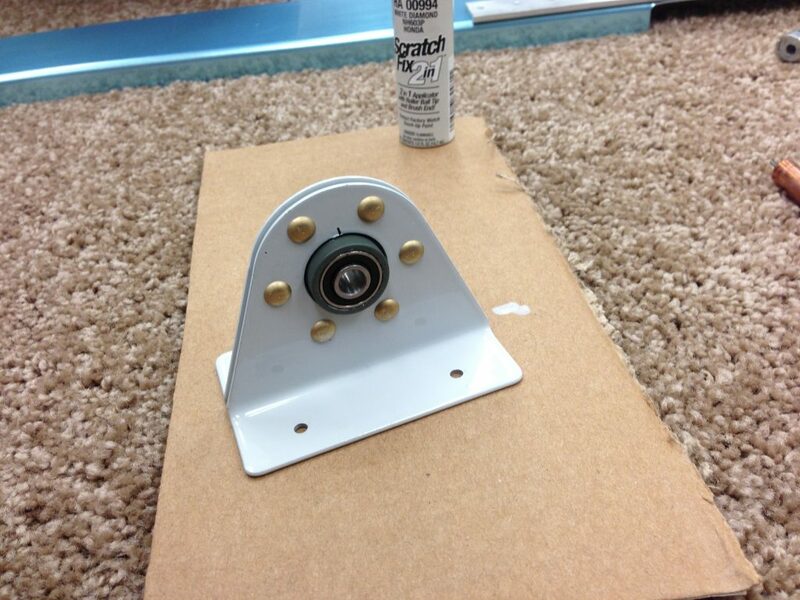 The bearing is primed with Dupli-Color self etching primer, yes I decided to prime! There seams to be two schools of thought in priming, yes and no. I decided yes, for corrosion protection and how it looks. To set these rivets I used my pneumatic squeezer, I love this tool and I have only set 6 rivets!